State Democrats are going after Attorney General Jon Bruning with guns blazing: They bought ads in the Lincoln Journal Star and Omaha World-Herald accusing Bruning of basically being a slackard attorney general while making millions on the side. Attorney General and U.S. Senate candidate Jon Bruning reported assets of between $12.6 million to $61.3 million. • Bruning’s AG budget has grown 81 percent during the past 8 years; faster than the pace federal spending has increased. • Since 2007, Bruning has tripled the value of his personal non-publicly traded assets from a range of $4.3 million to $17.8 million in 2007 to a range of $12.6 million to $61.3 million in 2011, according to his financial disclosure statements. Dems ask where he found the time to do that while serving as AG. • While serving as AG, Bruning has held positions on at least 24 different banks, private businesses, and LLCs — not counting personal trusts and non-profit foundations. “No wonder he doesn’t have time for his day job,” the Dems said. • Bruning “completely forgot” about a pending felony case, and the judge was forced to dismiss it. (Lincoln Journal Star 6/14/11). • Bruning has accepted at least $62,000 worth of gifts and trips to at least seven foreign countries, numerous rounds of golf and free tickets to sporting events. What’s interesting to me about these allegations is that the most surprising of them — that he’s got those kind of assets — I’ve never seen documented by a newspaper. Shame on newspapers for completely missing the story. It’s always embarrassing when political operatives uncover stories that reporters ought to be getting. 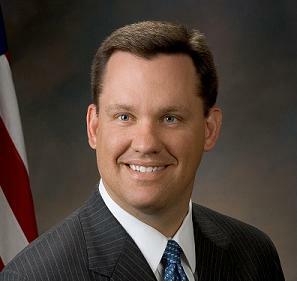 In addition to the $95,000 annual salary he draws as Nebraska attorney general, Bruning reported earning $57,500 in income from his interest Frontier Holdings, the bank holding company, and $4,440 in income from a holding company called Green Jacket Capital, which sold its minor investments last year in medical aesthetics companies. According to Bruning’s U.S. Senate financial disclosure report, he has millions of dollars in assets from investments in everything from 50 percent interest in Omaha and Des Moines storage companies to 15 percent interest in a bank holding company that owns three rural Nebraska banks. The most lucrative reported was his interest in a company that owns banks in Davenport, Madison and Pender, Neb. He also reported interest in a company that owns retirement homes in Kansas City, Austin, Texas and Round Rock, Texas. And many of those investments appear to have been made since he was elected attorney general in 2002. While Bruning reported millions in assets, he also reported a few million in debts, according to the statements I reviewed. You’ll notice Fellers did not address any of the issues raised in the ads. I’ve asked him how Bruning made so much money since he’s been a public servant most of his career; I’m waiting for a response. The AG is responsible for the oversight of personal trusts and non-profit foundations. How can be be on their boards? This seems like more of a conflict of interest issue than a “how does he have time issue”. Ben Nelson is a Democrat?